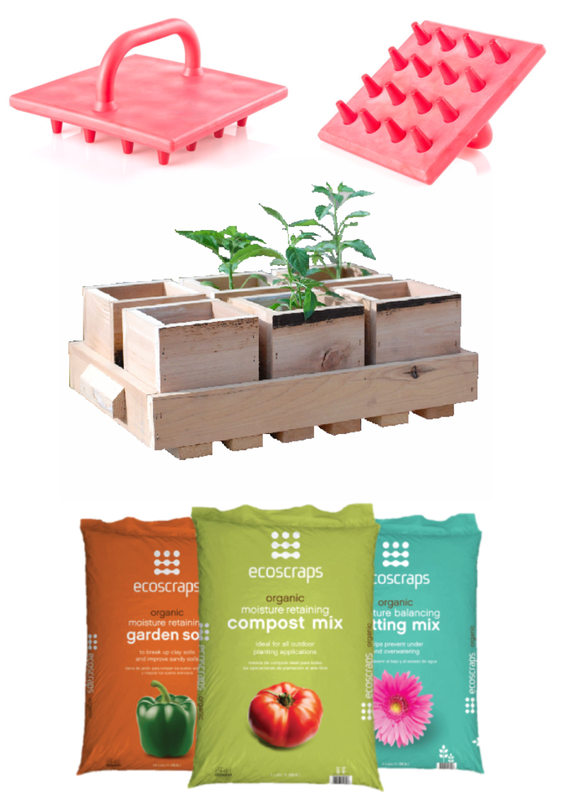 Garden Variety has partnered with reclaimed home and garden product maker ThinkEco2 to give five lucky readers these gardening goodies. Though many of us are shivering under another wave of polar chill, we know you’re already dreaming about everything you want to plant this spring—which is why we’ve teamed up with ThinkEco2, the San Diego-based makers of handcrafted eco-friendly garden planters, flower pots, rustic wedding décor and wine racks, to offer five GV readers the chance to win a Garda Dibble™ seed planting tool and the grand prize winner a ThinkEco2 cedar planter, too—plus, we’ll buy and send all five winners a bag of your choice of EcoScraps organic compost, potting mix or garden soil. Entering is easy. For a chance to win, just follow us on Facebook or Twitter then share this post on FB or send out a tweet about the giveaway. It’s that simple. Entries for the giveaway are being accepted through Sunday, February 2nd at 11:59 PM (Eastern). Five (5) winners will be randomly selected from all eligible entries. This promotion is only open to legal residents of the 50 United States and the District of Columbia. This entry was posted in Garden, Uncategorized and tagged cedar planter, compost, EcoScraps, Garda Dibble, garden, garden tool, gardener, gardening, garen soil, harvest, planting, potting mix, ThinkEco2, wood planter. Bookmark the permalink. This might sound silly but how exactly should we enter via twitter? Do we type something specific? All you have to click the Twitter button in the “Share This” row above and tweet this post. Shared! Thanks for the opportunity to enter! I’d would so appreciate this give-away! Being inFL, I can plant right now! Great giveaway, and I appreciate the chance to win these products!